Here is an interesting story out of southern Australia. Paraplegics and quadriplegics are learning how to scuba dive as part of their therapy. Muscle atrophy (decrease in the mass of the muscle) occurs when muscles are not used, and is common among those who are paralyzed. Hydrotherapy – in this case, scuba diving – allows paraplegics and quadriplegics to stretch their muscles and spread their limbs as they move through the water. Like the autonoME – which promotes freedom and independence outside of the water – scuba gear can expand the feeling of independence by stimulating unused muscle groups and allowing participants to swim free. 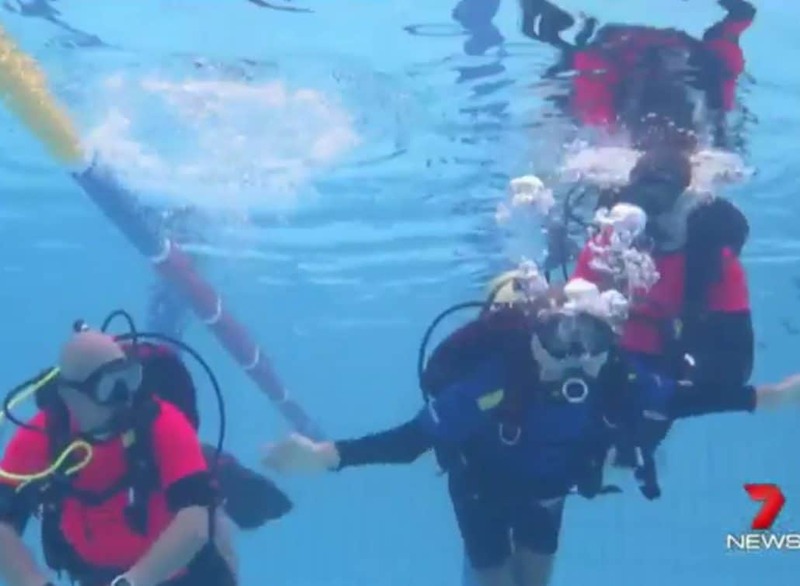 So, not only can paraplegics and quadriplegics achieve therapeutic benefits from scuba diving, they now have a new sport they can participate in and enjoy! Are you a quadriplegic who swims and scuba dives? If so, we would love to hear your story. Note: Any activity or sport should not be attempted without first consulting your physical therapist or physician. https://accessibilityservices.com/wp-content/uploads/2016/06/image06162155320.jpg 1034 1411 ASI /wp-content/uploads/2019/03/ASIProposedORIGINALColor-01-e1553790122688.png ASI2016-05-13 19:49:382018-08-08 17:35:26Swim Free!